*Potential opening delays of 12p or later on the mornings of swim meets (see page 11) and the Mini-Tri on 7/27. Please call ahead or check our website. *Reduced public hours on weekdays until Unit 4 schools are out of session, and again when Unit 4 resumes. Please visit our Aquatics Pages for program, party & rental, and event information. 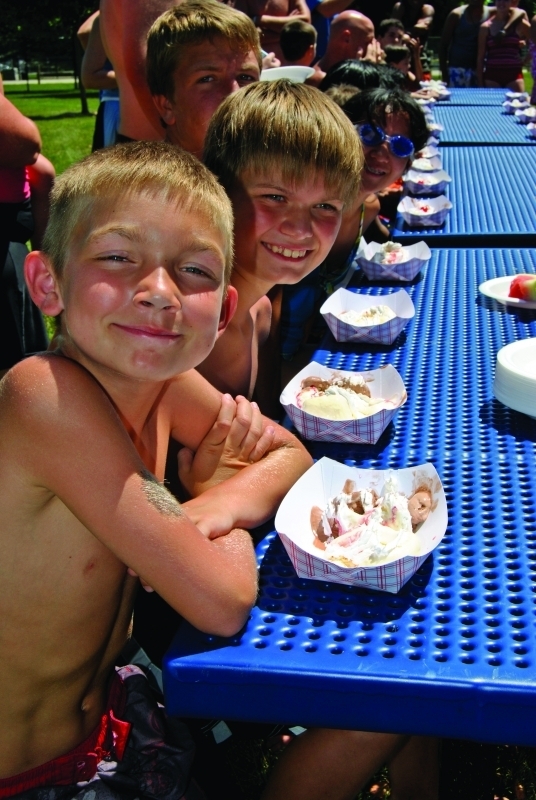 Whether you want to relax in the shade, soak up some rays, or stay active and get outdoors – Sholem Aquatic Center is the place to be this summer! In addition to great open swim options, we also offer learn-to-swim programs for people of all ages, after-hours rentals, birthday parties, Junior Lifeguard training, and more. Get the most out of your summer with a season pool pass and you’ll get to enter before everyone else every weekday! Get a great discount every time you come to the pool! This easy-to-use card allows you 5 or 10 pool entries at a flat, discounted rate. Purchase yours from the Sholem front office. This card works any time the pool is open to the public for our regular swimming hours. A special daily rate is available to groups of 15+ during public hours. One adult (ages 18+) is required for every eight children under age 16. Arrangements for group rates must be made at least one week prior to your group’s arrival. For more information, please call 217-398-2581 or email sholemrentals@champaignparks.com. Did you know a pool pass for a family of three pays for itself in fewer than 9 family visits to the pool? 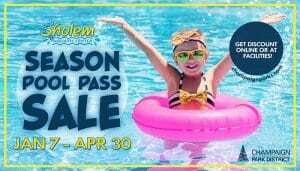 On top of being a great deal, pool pass holders also get all kinds of awesome exclusives like early access to Sholem Aquatic Center every day for the first 30 minutes of public swim hours, private invite to our free after-hours pool pass party, free access to lap swim, Walk the River, and Tiny Tots Splash Time! Now that’s what we call summer lovin’! 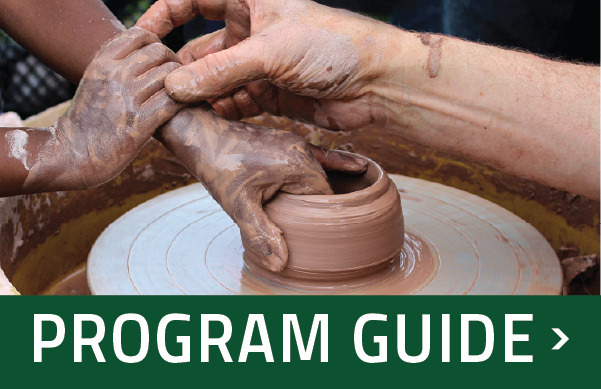 To purchase your pass, click here. *Try before you buy! * If you like what you experience when you visit, before you leave present your receipt to the ticket office and we will credit you in the amount of the daily admission fees for anyone on your receipt who is being added to your new season pass that day! Sholem Aquatic Center staff goes PLATINUM! Read all about it here. 1. Call the Cancellation Line at 217-805-4100. To access information for Sholem Aquatic Center, press “6” once the recording begins. 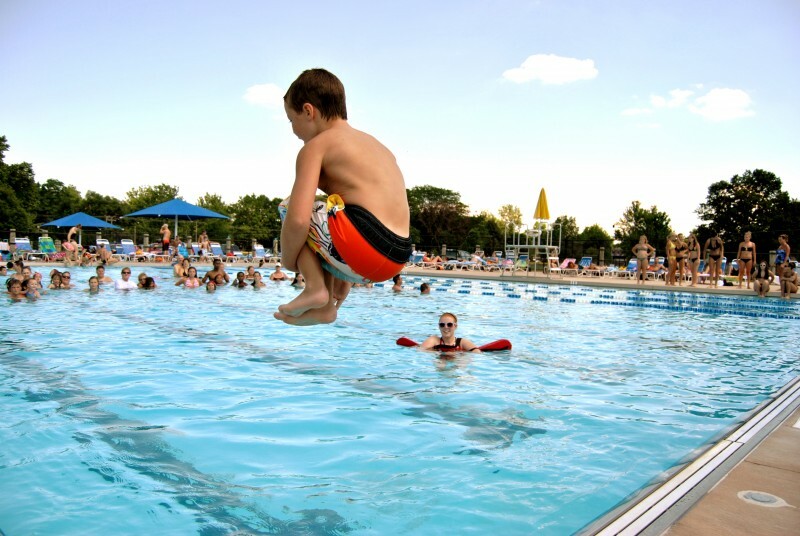 For Sholem Aquatic Center closure guidelines click here. The Beach is our 8,000 square foot main pool that includes a zero depth entry, play and spray features, and dump buckets. The Puddle, our baby pool, is made for our littlest swimmers and features a zero-depth entry, a slide that’s just right for little tykes, and plenty of seating and shade for grownups. The Sea is our crystal clear, always cool, 8-lane 25-yard lap pool. The Rapids is a 660-ft winding river designed to guarantee fun in the sun. The Falls is a 170-ft tube slide that’ll spin you down, twirl you around, and splash you and your tube out into The Rapids. The Plunge & Blue Rush are our 197 foot long enclosed body slides that empty out into the splash pool (Must be at least 42” tall to ride). The Oasis concession stand offers great eats and treats at reasonable prices with plenty of seating in the sun or shade. Sholem Aquatic Center patrons are protected vigilantly by our internationally award-winning Jeff Ellis & Associates® certified lifeguard team. Coast-Guard approved life jackets are available to borrow free of charge for adults and children. Three beautiful shaded rental lawns that are available for your next party or event.